Useful and well made little cabinet 80 cms high and 90 cms wide. $135. 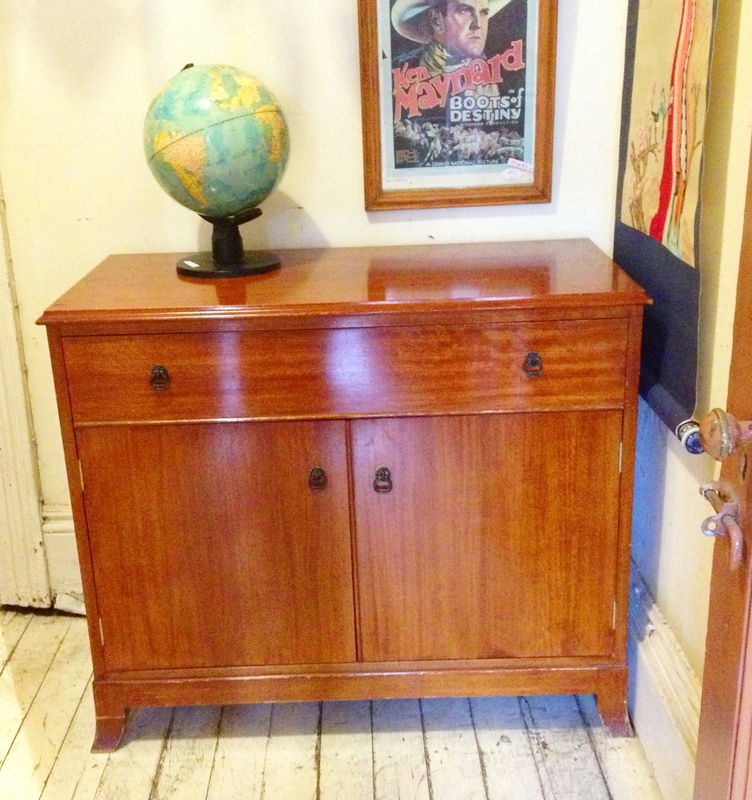 On top, one of three globes we have in store at present, this example $59.